Brad’s passion for fishing has only grown into an obsession since he has got older. 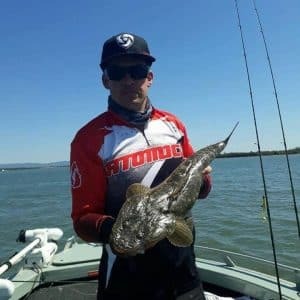 He started fishing when he was about 5 years old on the Mornington Peninsula in Victoria and now lives in South East Queensland. He gets out onto the water at least twice a week chasing everything from flathead on plastics in the estuaries to live baiting for yellow tail king fish out in the blue. When Brad is not out on the water he is at work with the Army or spending time with his family.